In this episode I’ll show you how to create a Dolly Zoom animation in DAZ Studio. That’s a camera trick made famous with Alfred Hitchcock’s movie VERTIGO, hence it’s often called a Vertigo Shot or Jaws Shot (because Steven Spielberg has used it for great effect in Jaws). In Part 1 I’ve explained how the effect is created and how to frame up the keyframes of our animation. In this part I’ll get into setting lights, animating the camera’s depth of field and rendering out the animation. In this part I’ll explain how the effect is created, setup our scene and frame up the keyframes of our animation. In Part 2 I’ll get into setting lights, animating the camera’s depth of field and rendering out the animation. I recently had a clip in which the audio was only present on a single channel. Trying to edit that in iMovie proved impossible, because iMovie doesn’t have a way to deal with single tracks of audio. So I thought, I’m sure Premiere can do that. The question was… how? It had occurred to me that I’ve never needed this feature in over 20 years of working with it. I hunted around for less than one minute and found it – I thought I’d better write it down before I forget it again. The trick to solve this puzzle was to open the Audio Effects palette and drag either Fill Left or Fill Right onto the audio track in question. This will double either channel onto the other one, ignoring whichever one is being filled in. In my case, I had audio only on the left channel, and by my definition, I wanted my (empty) right channel to be filled with whatever was on the left channel. In this episode I’ll show you how to use my new lighting product SOUL REFLECTIONS – Vol. 1. I’ve had so much fun exploring the eye reflections I’ve explained in my previous two videos, importing several interesting shapes and turning them into reflective surfaces. SOUL REFLECTIONS is the result of my endeavours. I’ve compiled presets for close-up, medium and wide shots with appropriately patented light emitting shapes, matched with varying intensities for each shot and shape to get you started quickly. All you need to do is load and pose your character, pick a shape and shot, switch to the new camera, frame up your image and hit render. In this episode I’ll show you how to create a ring flash in DAZ Studio so we can use it to create catchy reflections in our characters’ eyes. Full credit for this method goes to s1rmunchalot, who very kindly left a comment on my previous video about creating such a ring flash from a torus primitive. More like a re-discovery, Yellowjacket’s 1992 live album entitled LIVE WIRES is a timeless classic. I remember when my friend Oliver bought the CD back in the early nineties. It was like dynamite in our Walkmen. Except for a couple of inevitable duff songs that seem to find their way into the best album, 7 out of 10 songs are fantastic, featuring not only the masters that make up the Yellowjackets, but also guest appearances by Michael Franks and Take 6. 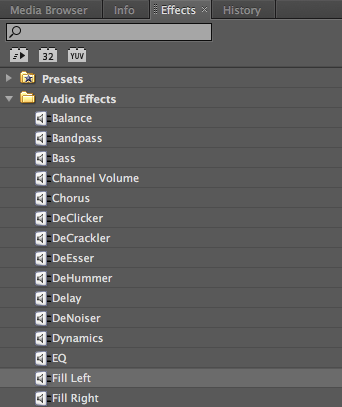 Even my ageing version of Premiere Pro CS 5.5 has multi-camera editing capabilities built in. And even my ageing Mac Mini from 2012 can cope with full HD clips during those edits. It’s a slightly mysterious process, and until very recently I didn’t quite know how to do it, but with my desire to do multi-camera interviews with inspirational people, it’s something wanted to research. This workflow is also helpful if you have a single camera feed and want to switch live (vision mixer style) to zoomed-in versions of the same. Now I know how to do it (works fine in present versions of Premiere Pro too). Before I forget this concept again, I thought I’d better write it down and share it with you (and my future me).